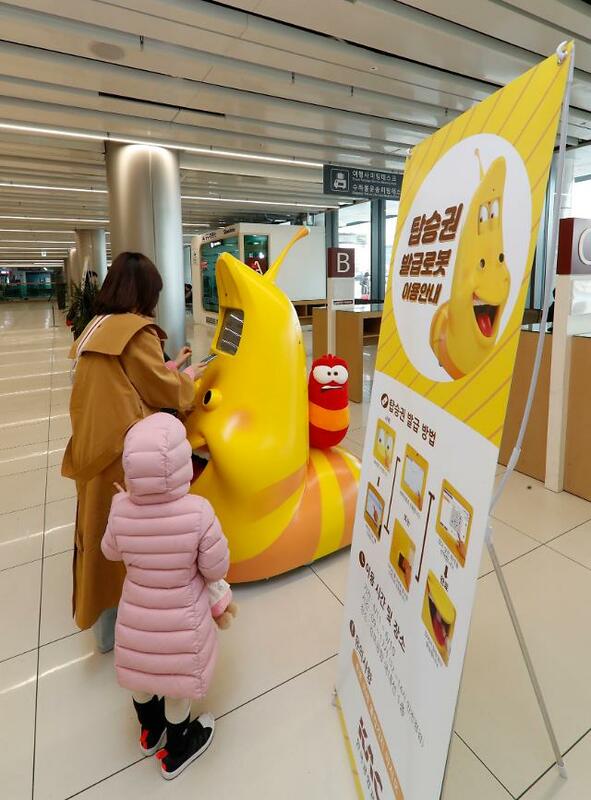 SEOUL -- "Larva", a popular South Korean computer graphics (CG) TV animation series, will appear at a South Korean airport as a service robot to issue plane tickets. If the reservation number is entered through the touchscreen, the boarding pass will be issued like the existing self-check-in method, the Korea Airports Corp. (KAC) said Thursday in a statement. The Larva service robot will be put into test operation at Gimpo Airport in Seoul. KAC will decide whether to set up Larva robots at other airports by checking practicality, stability and user response. Children favor Larva, created by TUBAn, a Seoul-based contents media company because the conversation between larvae characters does not incorporate spoken language.